I spent last week with 1st through 4th grade teachers (5th grade is on Monday) and our fabulous Academic Dean for learning days. We only have 2 elementary campuses in our district. On each day all the teachers on each grade level get together to learn. Topics for the day . . .
As the Instructional Tech Specialists, we were asked to share tech tools that could be used to pre-assess. AnswerGarden is a fantastic feedback tool. Use it for real time audience participation, online brainstorming and classroom feedback. Plant a question and invite participants to your AnswerGarden. Their answers instantly form a growing word cloud! Here are a few ways we used it during our learning days. 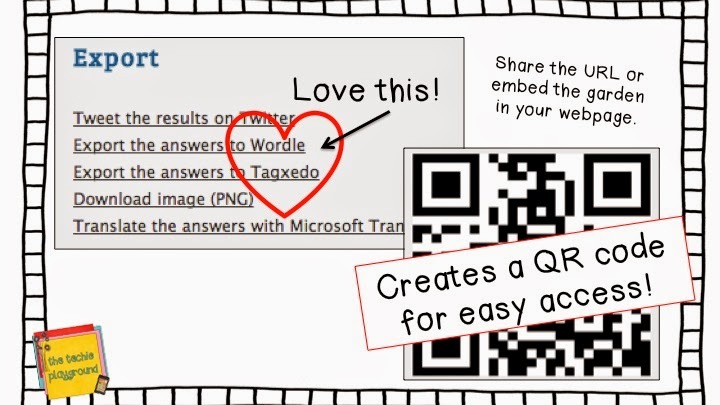 Once you have created your AnswerGarden question, you can share it with your class by adding the embed code to your class webpage (if it has the capabilities), share the link or use the QR code that AnswerGarden creates for your garden. 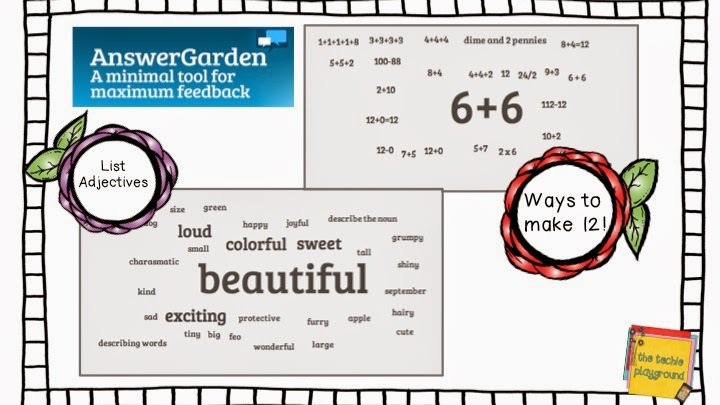 I love the fact that when your garden is finished, it can then be exported to Wordle or Tagxedo! Here are a few other features . . . There are different modes when creating your AnswerGarden. Brainstorm Mode - each person can submit an unlimited number of answers, including repeat answers. Repeat answers how the words grow! Classroom Mode - each person can submit an unlimited number of answers, but the same word will only show up once. Moderator Mode - answers are submitted to the AntiGarden, so then the creator of the garden must approve the entries. Locked Mode - the garden is closed . . . no more entries can be submitted. 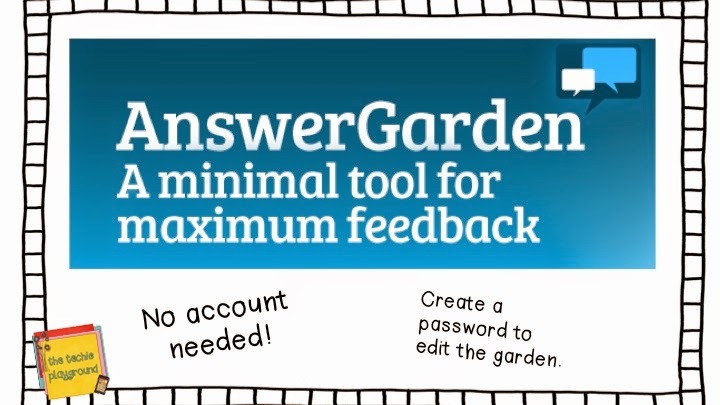 How could you use AnswerGarden in your class?... at AnswerGarden.ch.